Earline’s story began on December 27, 1929, as the youngest child born to the union of James Pearl Robinson and Blanche Beatrice (Edmonds) Robinson in Elkhart, Indiana. As the daughter of a Baptist Minister and granddaughter of an AME Minister, she accepted Christ at an early age and enjoyed singing in the Gospel Choir at Canaan Baptist Church. Outside of the church, Earline spent her childhood making many life-long friends in Elkhart. Although she had several jobs throughout her life, the one she most loved was that of a Licensed Practical Nurse (LPN) which came from a passion to be a nurturer and caregiver to all. Earline was a devoted mother of four children; Kerry and Sherry from her first marriage to William O. Phillips, and Terri and Jerri from her union with Willie C. Barnett. Although Earline never planned to marry again, in 1967 she was united in marriage to the love of her life, Lloyd Franklin Lawson Jr. After moving from Indiana to Michigan, Earline became a member of Calvin Community Chapel in Cassopolis, Michigan. Following her husband’s death in July 1996, Earline relocated to Portage, Michigan and became a member of Mt. Zion Baptist Church. She was a wonderful mother, grandmother and great-grandmother, who was loved, cherished, and now greatly missed by her family and all those blessed to know her. Her four children and grands were her pride and joy. She was affectionately known as “Granny” by her grandchildren and great-grandchildren, and simply “Mama” by her four children. She loved telling others about their accomplishments and she loved being the center of her children and grandchildren’s attention. Mama made sure that she provided for all of our needs and most of our wants as children and young adults. We each have stories of “The Earl” as she was affectionately known, shopping for that special attire for that special occasion, care packages of food, clothing, furniture and money either mailed or personally delivered to our various college dorms and apartments. Also, and most importantly she provided loving care for her grandchildren while her children were navigating the waters between family and career. As the matriarch of her family, she set an example as a hard worker and loyal friend. Through her love of beautiful things and possession of exquisite taste, Earline was always fashion forward in her appearance. She loved to garden and be surrounded by beautiful flowers. Skilled at designing floral arrangements, she was able to make the simple look simply beautiful and elegant. Earline was a lover of music and loved to entertain; you could never visit without being treated to a meal accompanied by lively and humorous conversation. If you knew Earline, you would know she was an avid Golden State Warrior fan. You couldn’t say anything negative about them in her presence. CNN, old westerns, and classic movies were her TV stations and shows of choice. 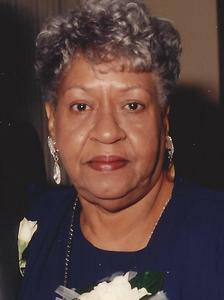 Earline was preceded in death by her parents, James and Blanche Robinson, husband, Lloyd Franklin Lawson Jr., two brothers, James Jr. and Albert W. Robinson, three sisters, Erma Curry, Katherine M. Black, and Mary L. Burson, and three son-in-law’s, Allen M. Coleman, Joseph L. Simmons and Johnny L. Moore. Earline leaves to cherish her memory, one son Kerry O. (Minnie) Phillips of Rochester Hills, Michigan, three daughters, Sherry C. Simmons of Kalamazoo, Michigan, Terri Barnett Coleman of Bloomfield Hills, Michigan, and Jerri A. Barnett of Richland, Michigan, six grandchildren, Solon M. (Lezah) Phillips of Farmington Hills, Michigan, Reuquiyah T. (David) Saunders of Kalamazoo, Michigan, Spencer J. (Kristen) Simmons of Lansing, Michigan, Sabrina A. Moore, and Traci N. Simmons, both of Portage, Michigan, and Kasey A. Coleman of Bloomfield Hills, Michigan, three great-grandchildren, David B. Saunders Jr., Donovan J. Saunders, Joshua S. Phillips, and Lauryn Z. Phillips, two great-great grandchildren, Avani and Amari Saunders, one nephew, Talmer (Ira) Curry, two nieces, Verla J. Carter and Cynthia B. Johnson, all of Atlanta, Georgia, and a host of great nephews and nieces, cousins and friends. A memorial service will be held at 12:00 Noon on Saturday, August 11, 2018, at Mt. Zion Baptist Church, 120 Roberson Street, Kalamazoo, MI. A private interment in Rice Cemetery, Elkhart, IN, will be held on Monday, August 13, 2018 at 1:00 pm. In lieu of flowers, donations may be made “In Memory of Earline C. Lawson” to The American Diabetes Association at http://main.diabetes.org/goto/EarlineCLawson or Mt. Zion Baptist Church Food Pantry.